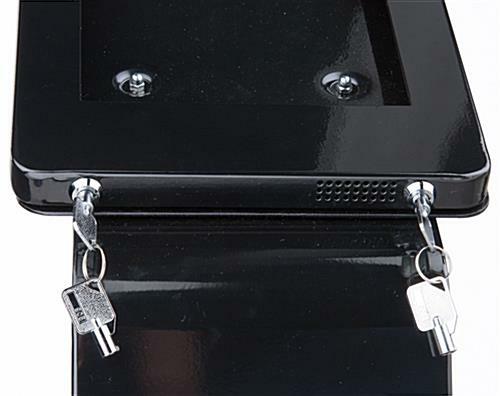 Locking ipad mini kiosk displays are ideal for heavy traffic retail and commercial store use because secure device enclosures prevent tampering, theft or damage. 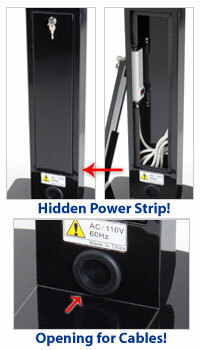 These Apple tablet floor stands have dual case locks in addition to a locking rear-access power supply. 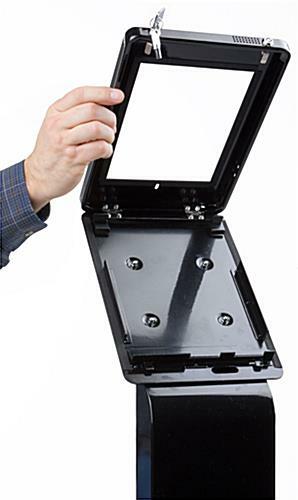 The highly secured ipad mini kiosk displays also block user access to the Home button, but allow free use of the camera, volume and charging port. 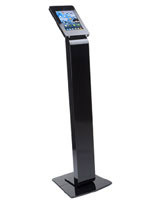 Each of these Apple tablet stands is made of durable steel and features an attractive black powder-coated finish that will coordinate with any business or store environment. 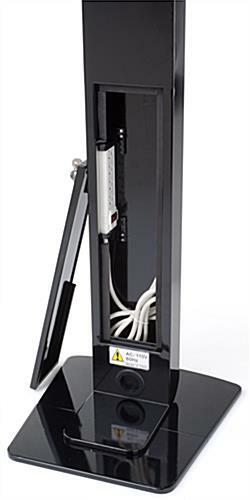 iPad mini kiosk displays with a secure device enclosure are ideal for eliminating customer's access to unauthorized programming and apps while allowing them free access to approved programs. 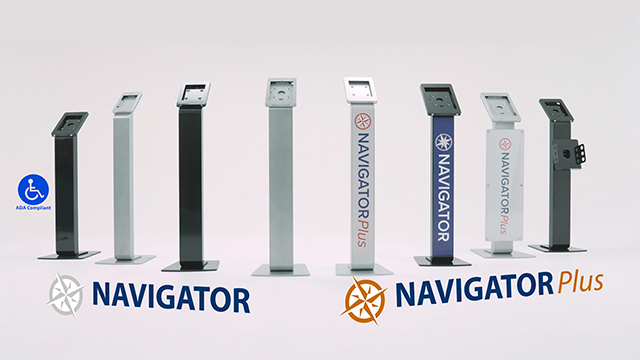 Installed devices will also rotate a full 360° while in use in the 53-inch tall security enclosure.